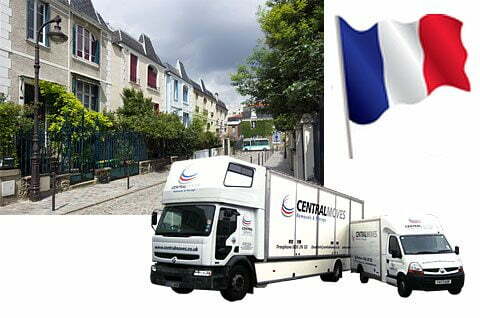 Central Moves Ltd Helping individuals, families & students move to Paris or Ile-de-France. Paris is a well-organised and pleasant city for ex-pats. Central Moves have moved many expats & students to all areas in Paris. Accommodation is reasonably priced and relatively easy to find, public transport is cheap, plentiful and efficient, parking is well organized. As in most large cities, traffic is a major problem, and pollution levels are high, especially in summer. However, thanks to efficient sign-posting it is easy to find your way around. Facilities for cyclists are also excellent, with an extensive system of designated routes all over the city. There is a good choice of American and British schools for those who do not want to take advantage of the internationally recognised French system. However, there is a general lack of support systems for expatriates, and integration into the French system can be hard work unless you already have employment in the city or are a student. Wealth is heavily concentrated in the western suburbs of Paris, notably Neuilly-sur-Seine, one of the wealthiest areas of France with some very big & expensive properties. Many of Paris’ important institutions are located outside the city limits; the financial business district is in La Défense and many of the educational institutions lie in the southern suburbs. Disneyland Paris, one of France’s top tourist destinations, employing many expats is located mostly in the commune of Chessy, 30.6 km (19.0 mi) north-east of the city centre. Parking for a removal Lorry in Paris. Most HGV’s over 7.5 tonnes are banned from the French road and motorway network every weekend between the hours of 10 p.m Saturday and 10 p.m Sunday. Paris area: Further restrictions apply for HGV access to the Paris area, (Mondays and the day following a public holiday, from 6 a.m to 10 a.m), and for HGV’s leaving the Paris area (Fridays and days preceding a public holiday, usually from 4 p.m). This means that trucks cannot transit via the Paris inner ring-road (Boulevard Périphérique) during these hours. If you have parking restrictions outside your french property just let Central moves know and we will handle and advise on what steps to take in obtaining a parking permit. Also if access through to your property is restricted Central moves are able to hire outside elevators for those extra large items of household furniture or if access is restricted for a large removal lorry outside your property we may have to use a tranship vehicle. PLEASE LET CENTRAL MOVES KNOW OF ANY PARKING ISSUES RELATING TO YOUR PROPERTY IN PARIS. Central Moves are one of the London’s top removal companies for Removals London to Paris who combine specialisation with our total commitment to providing a professional and personalised service, which this is why thousands of families and individuals have entrusted Central Moves with their French home removals, furniture removals France and personal effects. Here at Central Moves we pride ourselves in aiming to be the best Removal Company to Paris France . and most recently BS EN 12522 , it is the first and only recognised quality Standard specifically aimed at furniture removals. Further testament to our success is the number of corporate clients who continue to choose Central Moves and indeed, refer us to their families and friends.